Learn more about the FCSA services in Fairbanks. FCSA offers many unique options for children and young adults who are struggling with behavioral or mental health concerns. No matter the treatment setting, FCSA’s mission to provide unconditional care to Alaska’s children remains the same. FCSA’s youth and families are supported by a caring team of professionals, dedicated to helping them process trauma, learn coping skills, build self-esteem and tackle any challenges that come their way. Please CLICK HERE to learn about Client Rights & Privacy on our Information page. Children receiving services through the ATOP program generally have low to moderate behavioral health or mental health issues, are able to receive service in an unrestricted environment and reside with their parents, legal guardian or in a foster home. Program services are provided in the community, the family home or the public school. All services provided are designed taking into consideration the unique strengths, values and needs of each child and family and within the cultural context of each family. Services are available to children five to 18 and with some exception up to age 22. FCSA operates two YESS Day Treatment programs during the school year, one for elementary age children and a combined program for middle and high school age children. 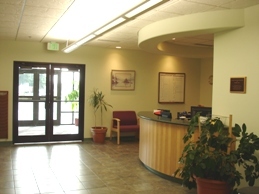 Both programs provide integrated day treatment (behavioral health) and education services. Admittance into the programs is only by referral from the Fairbanks School District. The majority of children enrolled into the programs have behavioral health difficulties that result in the children having disruptive behaviors in the public school. The YESS program relies on a low child to staff ratio, generally no greater than 3 to 1, to help alter the children’s behavior so they may return back to the regular public school. Length of enrollment for each child in the program varies greatly. The maximum enrollment for each YESS program is approximately 21 children. The Summer Skills Development Program (SSD) is an innovative program developed by FCSA over ten years ago to provide academic and nonacademic therapeutic activities, as well as vocational and job readiness training to special needs youth during the summer months. This comprehensive program runs for a ten week period during the summer and serves 25-30 youth ages 14-21. The program focuses on gaining success in academics through our summer school program, social skill development that is woven throughout daily activities, and vocational/work skills to explore career interests and aptitude, gain personal skills (soft skills) needed to prepare for employment, and instill a sound work ethic and solid vocational skills by providing them with an opportunity to work in a paid position complete with benefits and responsibilities. Being successful at a job has proven very therapeutic for client workers, providing them with a positive employment experience while boosting their self-esteem and resume. To learn more about the FCSA/SSD Program, contact the YESS Director of Education at 907-452-2109. Clinical services consist of a holistic approach to overall wellness that is aimed at achieving the optimal physical and emotional health of our clients, improving their overall functioning, and increasing their resiliency. Services focus on strengths and abilities, promote growth, and foster self-efficacy. FCSA provides a variety of clinical modalities including Cognitive Behavioral Therapy, (CBT), Dialectic Behavioral Therapy, (DBT), Motivational Interviewing and Reality Therapy. FCSA Clinicians are also well-versed in trauma informed care and provide a culturally sensitive approach to the needs of the children and families FCSA serves. 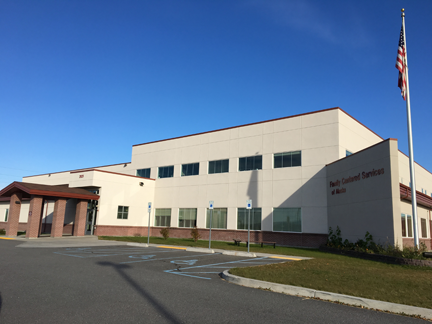 FCSA’s Clinical Department is comprised of a Senior Director of Clinical Services, two additional Directors of Clinical Services located in our Wasilla office and our Residential Treatment Center and several Licensed and Master’s Level Clinicians. Directors of Clinical Services ensure that all therapeutic services are delivered in a quality manner and in accordance with nationally recognized best practices for mental health and substance abuse treatment. FCSA Directors of Clinical Services ensure that all clinical staff receives regular and consistent training and supervision. Clinicians are encouraged to participate in workshops and seminars that enhance their clinical expertise. This allows for professional growth of the staff, maintains consistency in treatment approaches and service delivery across programs, and reinforces ongoing support to clinical staff, particularly those just entering the profession. 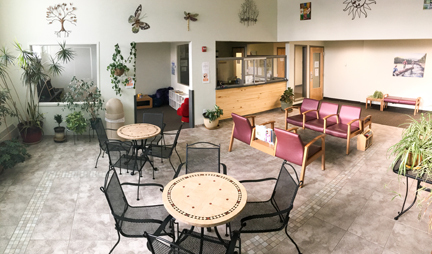 FCSA offers a safe, welcoming therapeutic environment with its Residential Treatment Center (RTC), providing services designed to meet the individual needs of children ages 12 to 18. FCSA can help children who are experiencing issues with: mental health challenges, anger management, homicidal thoughts, lack of focus and concentration, suicidal thoughts, running away, defiance for authority, self-harm, and family relationship challenges. Our goal is to build trust and stability while providing a structured, safe program for children to learn and grow in. An individualized treatment plan is developed for each client by our multidisciplinary team of professionals which include a psychiatrist, nurses, teachers, therapists, dietician, and mental health technicians. These professionals work with the family to develop an interactive, flexible, and safe environment for positive change. We provide high quality individual, group, and family therapy, individual treatment planning, skill groups, coping skills, medication education/management, daily living skills, activities and exercise center, an onsite year-round school program, community outings, and family participation. 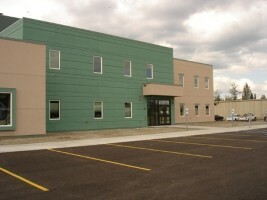 Midnight Sun Academy is the school located within the Residential Treatment Center. Our academic program is designed to allow students the opportunity to continue their education. Students attend school five days a week during the school year and are enrolled as members of the Fairbanks North Star Borough School District. 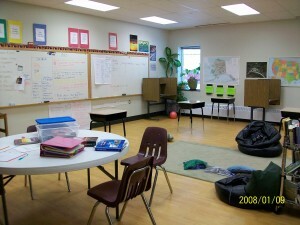 The education program also operates a two month summer school session. 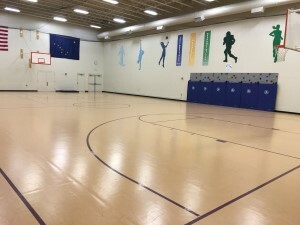 In addition to core academic areas, all students are offered daily recreation in the full sized gymnasium. Special education staff oversee Individual Education Plans for students and other services including occupational, physical, and speech therapy as required. The Cultural Pathways Program is designed to bridge indigenous approaches to wellness and the clinical model used in residential treatment for youth in Alaska. The program highlights indigenous worldviews, knowledge systems, languages, music, and traditions and relies on Alaska Native Elders to provide cultural and emotional support. It is open to all RTC clients to help build respectful relationships with one another by strengthening cultural knowledge, awareness, respect, and curiosity of diversity. Cultural Pathways meets therapeutic goals and is also available for out-of-school credit. We enjoy a collaborative relationship with many state and local agencies and programs, including the Department of Labor, Alaska Works Partnership Program, Fairbanks Arts Association, and the University of Alaska providing educational opportunities for students. The Alaska Division of Vocational Rehabilitation provides important quality transitional services for our students and we also have an excellent working relationship with Adult Learning Programs of Alaska (ALPA) providing instruction and assessments in readying students for the GED exams as appropriate. The REACH program provides respite service to parents, foster parents or guardians of children enrolled in FCSA programs. Services are provided in a residential home and a maximum of five children can be accommodated at each respite session. The home operates a five day per week schedule. Each respite session includes a two night and two full day stay at the home. The primary focus of FCSA’s Adolescent Co-Occurring Treatment program (ACT) is to provide services to youth with a co-occurring mental health and substance use disorder diagnoses. Treatment is provided in a nurturing family environment. FCSA believes that a smaller and more individualized treatment setting enhances the ability for youth to succeed; therefore, the capacity of the ACT program will be a total of five youth enrolled at any given time. The length of stay for youth admitted to the program is expected to range from 120 to 365 days. The length of stay will vary, dependent upon the youth’s commitment to treatment, ability to build resiliency and attain measurable behavioral, cognitive and affective changes that support recovery. The TFGH program is designed to provide service to children in need of a safe and supportive place to live that are experiencing low to moderate behavioral health issues. Currently FCSA operates six (6) homes in Fairbanks that serve both boys and girls ages 5-18. Each Home is operated and maintained by licensed foster parents and receive support from FCSA. The number of children placed in the home generally averages three (3). The homes are located in residential neighborhoods and are reflective of a family experience rather than an institutional setting. The children attend public school and are involved in social and recreational activities in the community. FCSA holds a License from the State of Alaska which authorizes it to license therapeutic foster homes in Alaska. FCSA foster homes provide service to children needing a place to live who have low to moderate behavioral health or mental health issues. FCSA foster homes are considered therapeutic foster homes because the children placed in the homes have a need for treatment services. Help make a difference in a child’s life today. Click below to apply!